These are very rare ships clocks as pictured in Konrad Knirrims book on German Military Clocks. 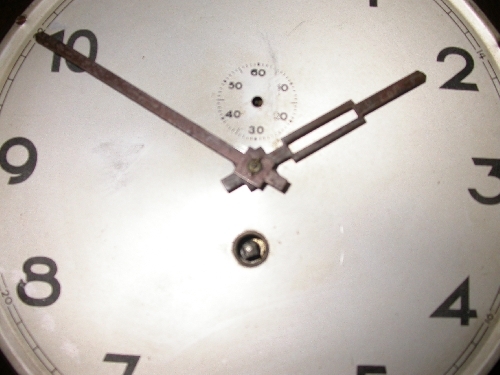 The movement is a mechanical platform balance and the clock is fully working. 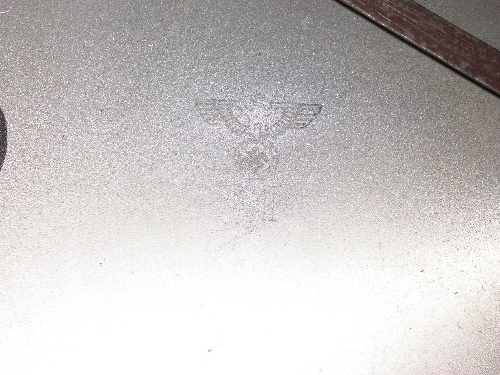 The Eagle and M have at some point been rubbed-presumably to remove! 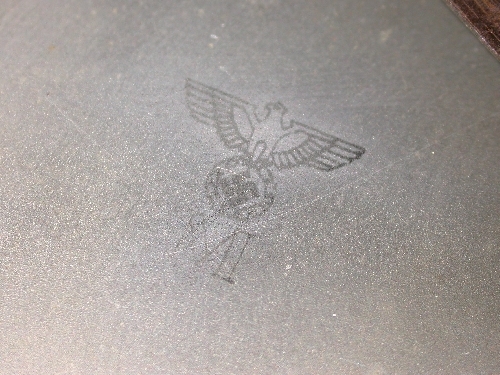 But are almost etched into the dial and can be seen clearly at certain angles. We have not touched the clock in anyway other than to wind and ensure operation. 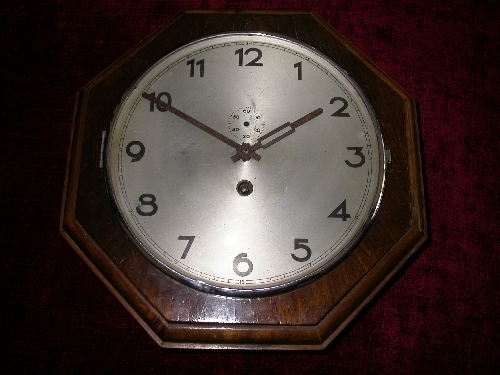 The subsidiary seconds hand is missing and the wood panel to the rear a portion of the veneer is seperating top right above the dial but this would be easy to re-adhere. A rare clock and confirmed as a ships clock as per the book above which we are happy to scan pictures from to add to the provenance.